Revere Pewter Transformed This Master Bedroom! Okay, so it wasn’t just because of the paint colour that this large master bedroom went from drab to fab. 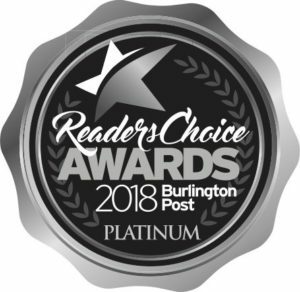 However, when we paired Revere Pewter by Benjamin Moore with Cloud White & designed this space with exquisite fabrics, various textures and custom furniture, this popular paint colour with subtle green undertones, does look pretty spectacular as a backdrop. 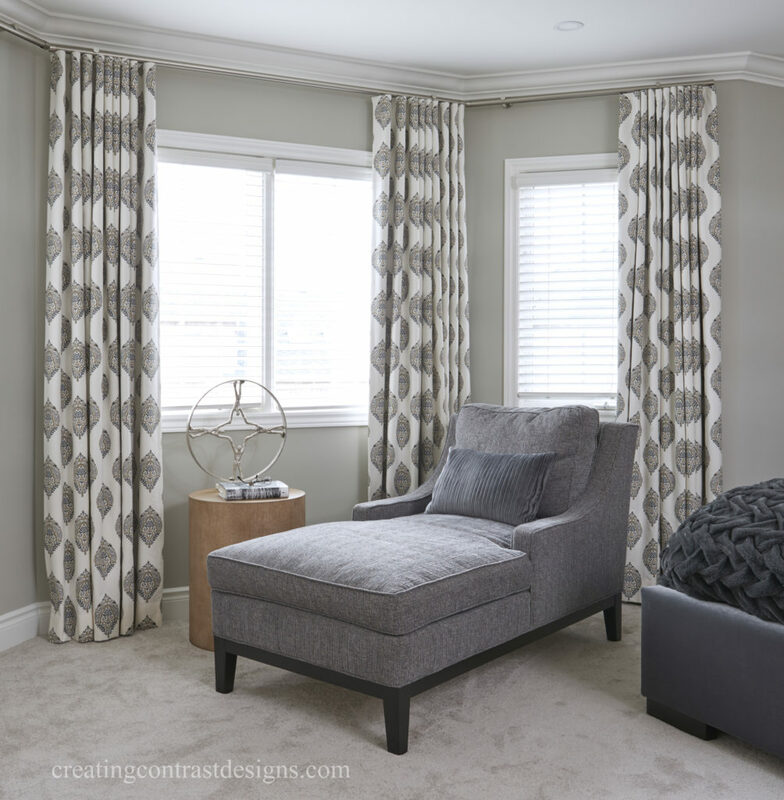 In this video you’ll not only see the dull ‘before’ photos of our Burlington clients Master Bedroom, but also the inspiring mood boards, as well as the 3D concept renderings we created for the space. Plus, no makeover would be complete unless you saw the final reveal of the extraordinary after photos! Can’t get enough of Revere Pewter? See more of our clients bedroom design here in our portfolio or scroll down to see more, including other videos for your viewing pleasure! Got a question, comment below of DM me on Instagram here. 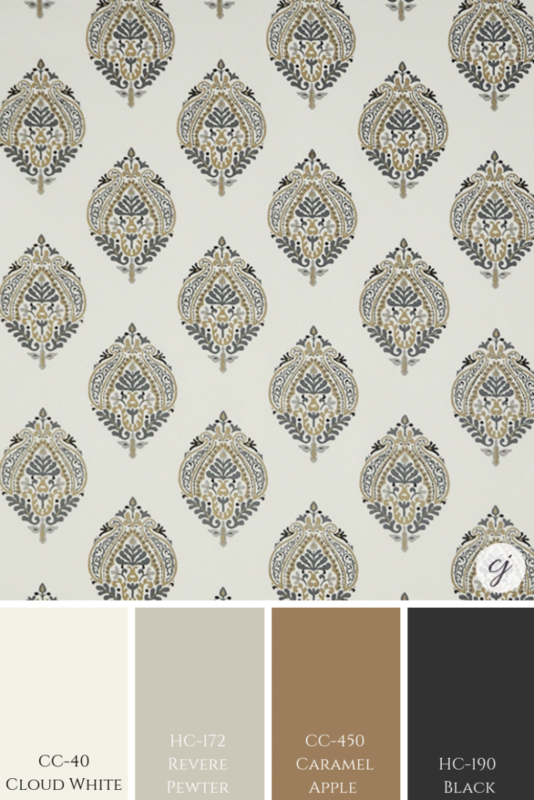 Want to work with us on your next decorating project? Email us here, we would love to hear from you. In this video, find out the undertone of Revere Pewter and the best white paint colours to use with it. Below, I walk you through the design process. You’ll see exactly how I created this bedroom design as I do into details about the custom treatments such as the drapery, the built ins and the beautiful bed with upholstered headboard. Professional photos by Stephani Buchman Photography. 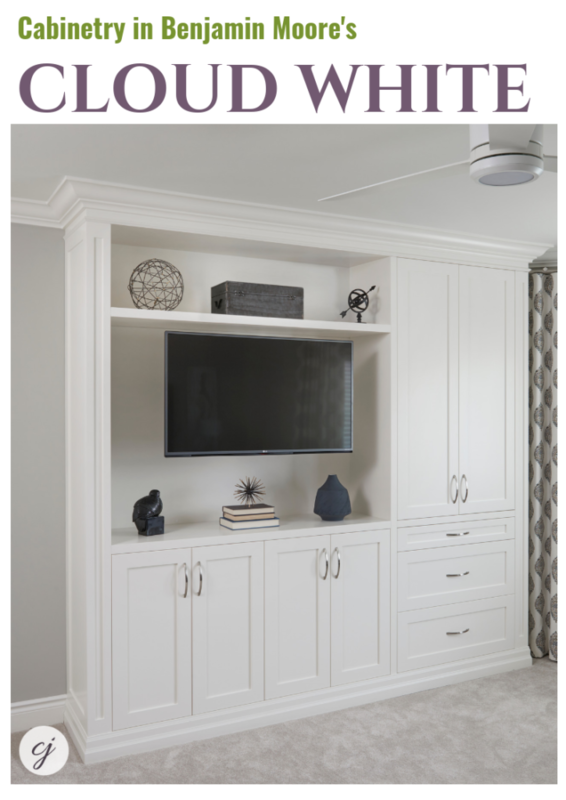 Custom Cabinetry in Cloud White by Benjamin Moore. Custom upholstered head board by Claire Jefford. Bedroom painted in Revere Pewter by Benjamin Moore. 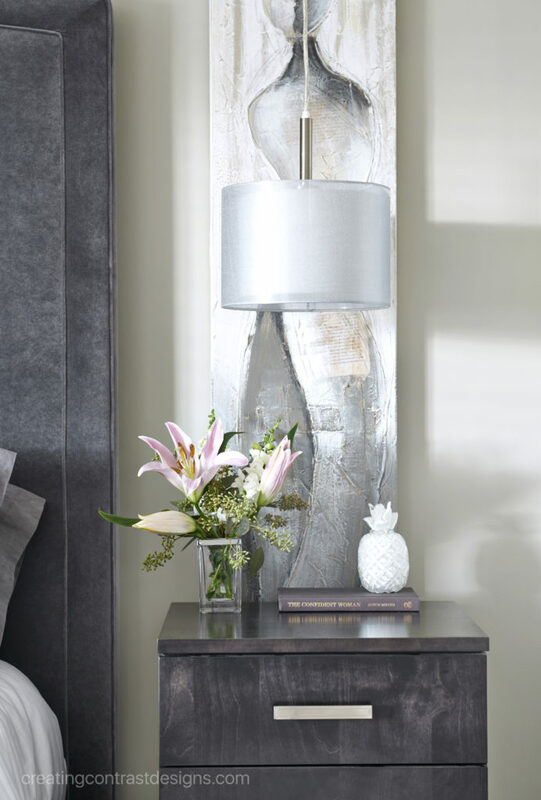 Pendants hung from above allow for more room on a bedside table. 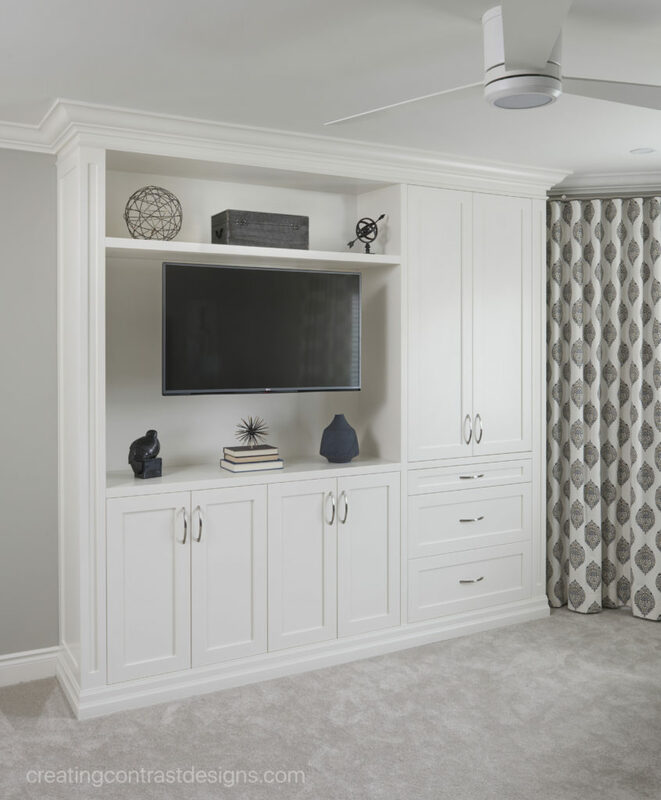 Custom cabinetry painted CC40 Cloud White by Benjamin Moore. 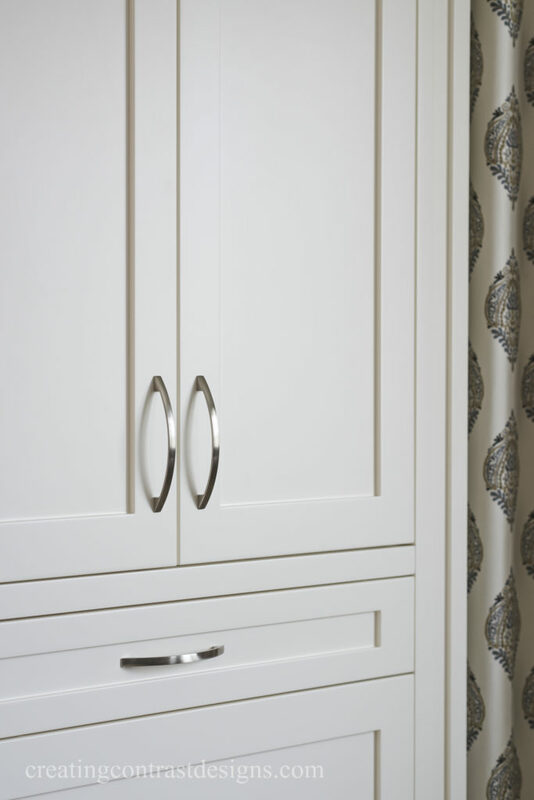 Accessories on Cloud White Cabinetry. Revere Pewter is a great go to! Fabulous post Claire and your work is beautiful. I also love the combo of Revere Pewter and White Dove for staging jobs.It has been my “go to” as well. Thank you Marianne. 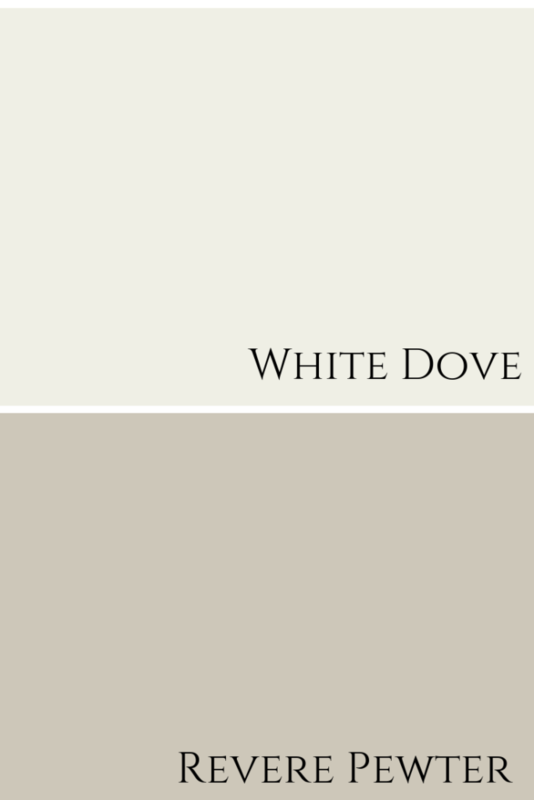 Oh yes, White Dove also looks fabulous with Revere Pewter. 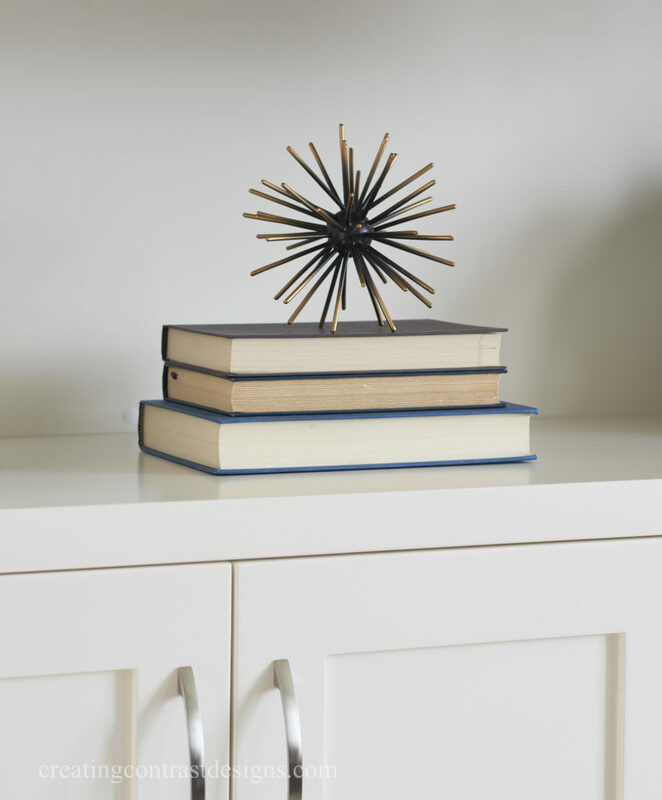 For staging I can especially see how this combination would be a popular ‘go to’. Such a soothing and relaxing bedroom. 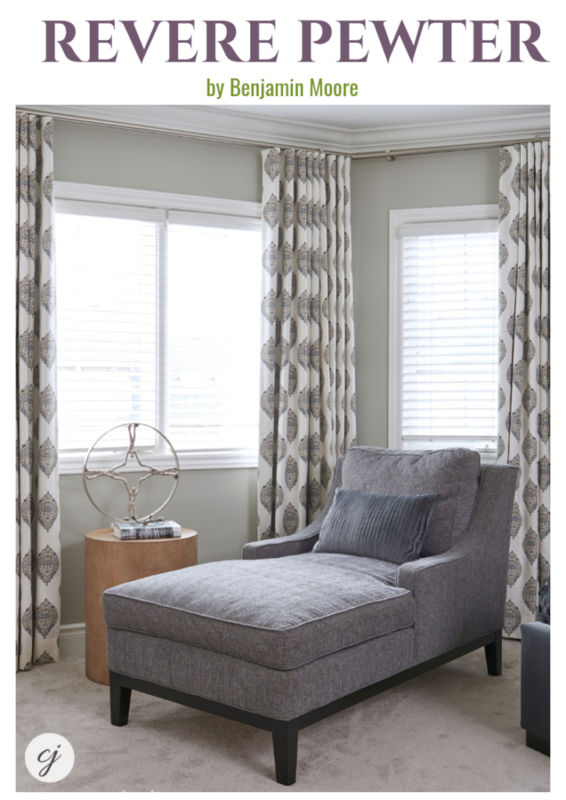 I love Revere Pewter and the fabrics and details you created for the room are absolutely stunning. Hey Janet, thanks so much! I love that reading area too, that was for the hubby client. White Dove with Revere Pewter is fabulous too! Amazing transformation, Claire! Really fun to see what you did with this space. It looks gorgeous. Thanks for sharing these informative post with us.